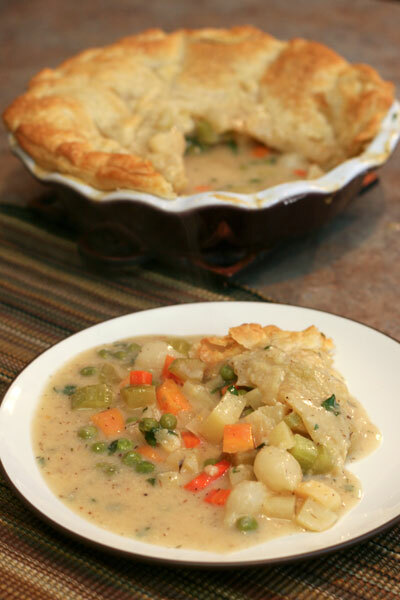 Chicken Pot Pie with Root Vegetables. Photo Credit Emily Wiley. 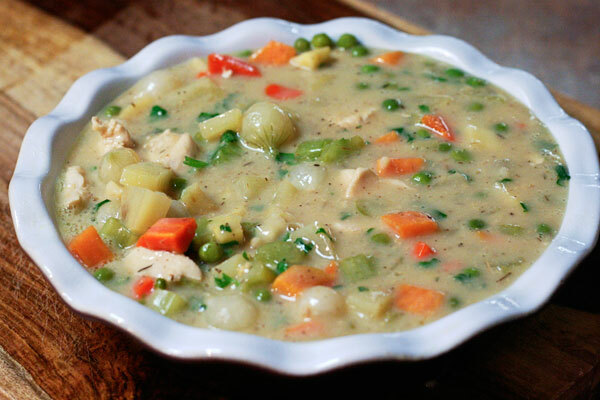 This chicken pot pie includes peas, potatoes, parsnips, pearl onions, carrots, and celery. (You can really use any root vegetable from your pantry.) And the sauce is rich, but not too heavy. 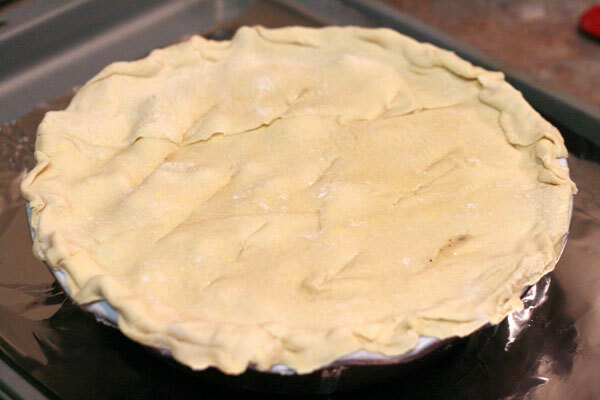 You can simplify the process by covering the pie in puff pastry, though you could also make your own crust. Puff Pastry Crust. Photo Credit Emily Wiley. The final product is puffy, flaky, and filled with piping hot goodness.